Salesforce Commerce Cloud delivers the speed, agility, innovation and superior economics required to master the new retail reality of constant and unpredictable change. Support for standard Salesforce Commerce Cloud sites within a few days (we do all the work), and complicated sites by agreement. You can immediately increase sales with leading-edge browse and basket abandonment recovery, then extend this to customer-specific programs that send multiple emails. Next personalize your website with product suggestions and smart blocks, introduce advanced real-time content into all your email marketing, improve all your segmentation and targeting with real-time analytics, and load real-time activity data into your CRM or Analytics System. Fresh Relevance sends real-time, cart abandonment and browse abandonment emails to the customers of your Salesforce Commerce Cloud store. 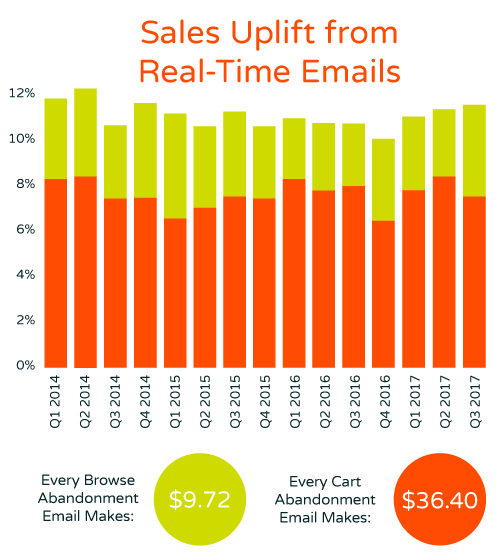 The emails are personalized, including product pictures and links back to your store, making it simple for lapsed customers to return and buy. Easy install with telephone support, walk-through documentation, and no API programming or manual uploads. Won't slow down your store, because the script is asynchronous and cached. Fresh Relevance maximizes the number of shoppers identified with Advanced ESP integration, eCommerce site integration. This is the single most important factor for marketing success. Supports the W3C Digital Data Layer and Universal Variable data standards (for if you want to integrate a lot of data). Fresh Relevance automatically collects more and better data, e.g. browse history from before a shopper has been recognized. Triggered Analytics load into your ESP - for example, new visitor or top buyer - so you can Segment and Personalize using real-time data. Use different recovery programs for different types of shoppers (advice) and send a sequence of 1, 2, 3 or more recovery emails. Across web, social, mobile and store, Salesforce Commerce Cloud (formerly demandware) empowers retailers to unify the customer experience. 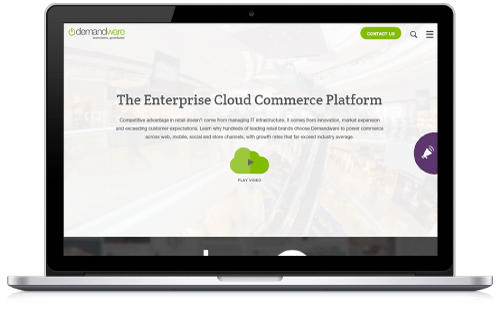 From planning to launch and beyond, Commerce Cloud delivers customer satisfaction and growth, and delivers a 1-to-1 shopping experience that delights customers: increasing engagement, loyalty and conversion.